Our experienced crews are ready at a moments notice to clear snow and ice from your residence. Hang up the shovel and rely on us to keep it clear. 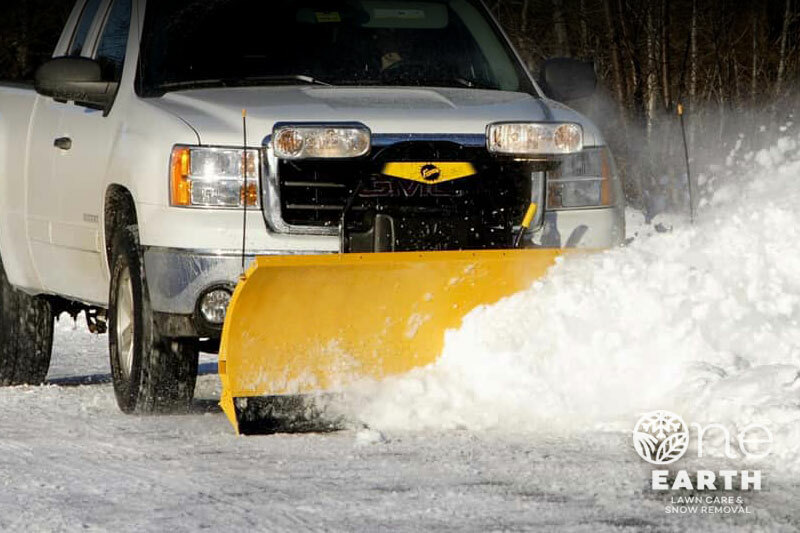 One Earth is committed to providing next-level professional winter plowing services at a moments notice. We understand the importance of prompt and efficient snow removal. It’s crucial to get you in and out of your home safely and on-time. Our seasoned pros can handle the most complex driveways and walkways. 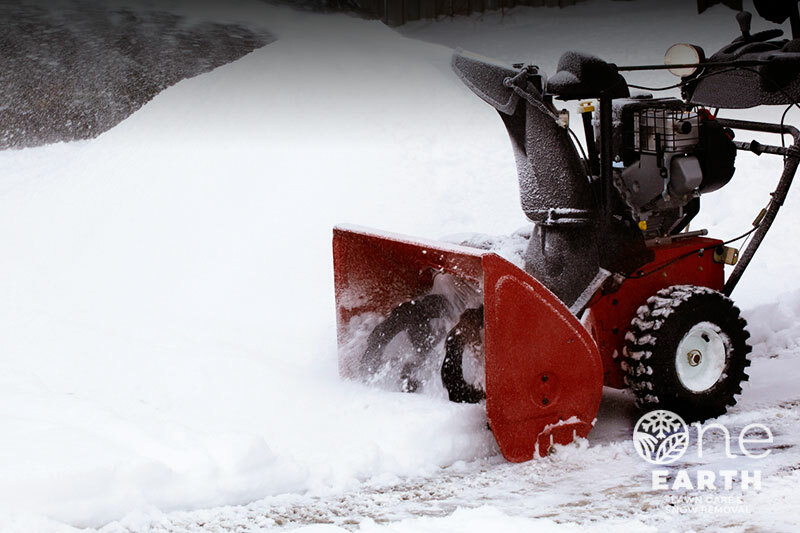 Smart snow removal begins with a plan, especially for the heavy snowfalls. We go the extra step to map out your residence to eliminate the possibility of surface, structure, and landscape damage. It’s the kind of white-glove service we’d expect for our own homes. Keep your family and visitors safe from ice buildup. We’ve taking the slip out of steps and walkways for years. Keeping these high traffic areas clear means that you, your family or guests are less likely to experience a fall. It’s crucial to keep the snow cleared so that it does not pack and form into thick ice. Hang up your shovel and leave the heavy lifting to us. Our winter crews know how to safely remove the snow from your entryways and walkways. It’s a service that delivers an ideal seasonal insurance policy and piece of mind. Ideal for slippery inclined walkways and driveways. We recommend both sand and salt for steep driveways and walkways as well as any areas that receive foot traffic. Used in combination, these two applications are very effective in reducing slip and fall incidents. Salt application is great for melting away iced areas and is affective down to 12° F. We use a very careful approach when using salt as it can be harmful to pets, plants and even concrete. 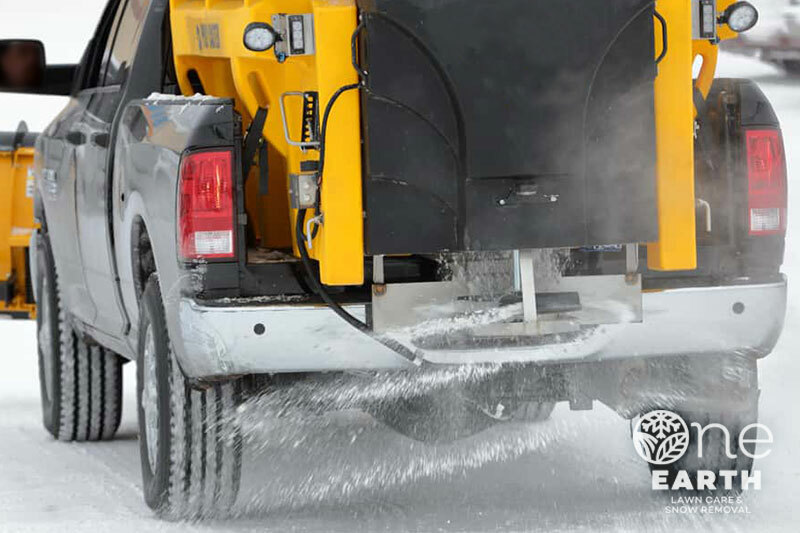 Sand is especially useful to help create traction even when the temperature goes lower than 12° F. Usually we recommend a fresh application after every snowfall.